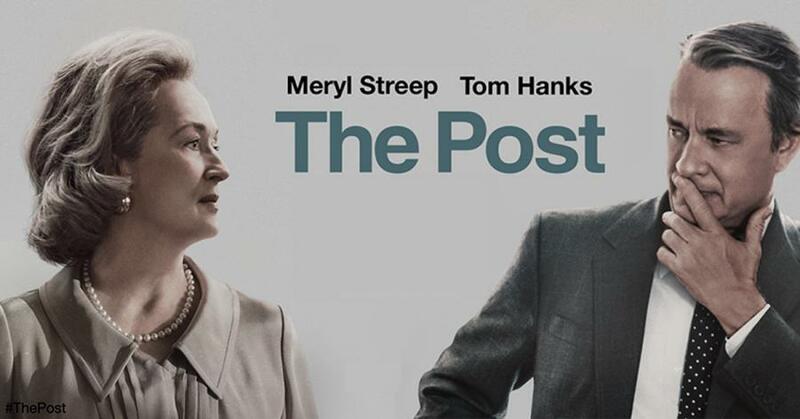 Join us for this Tuesday Movie Matinee featuring The Post (2018), starring Meryl Streep and Tom Hanks. Steven Spielberg directs Meryl Streep and Tom Hanks in The Post, a thrilling drama about the unlikely partnership between The Washington Post's Katharine Graham (Streep), the first female publisher of a major American newspaper, and editor Ben Bradlee (Hanks), as they race to catch up with The New York Times to expose a massive cover-up of government secrets that spanned three decades and four U.S. Presidents. The two must overcome their differences as they risk their careers - and their very freedom - to help bring long-buried truths to light. Biography, Drama, History. Rated PG-13, 116 minutes.